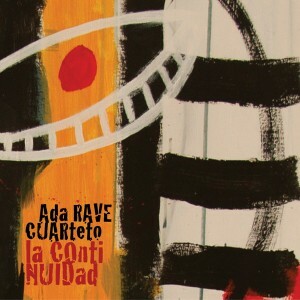 la continuidad, the first album from the ada rave cuarteto! the group is a fury of sound. intensely focused free improvisations give rise to pre-conceived compositions that allow the quartet to stretch out. they pay tribute to their inspirations – monk, braxton, ornette and dolphy – but, from that starting point, they set off in their own direction. lots of space, lots of listening to each other. quiet studies in the limits of their instruments. swing pulse rhythms on post modern be-bop. a genuine sound of joy. the quartet began playing in early 2009 as trio before adding a guitar/electronics to the mix in early 2010. their inspiration comes from the language of jazz, free improvisation and out rock of the 60’s and 70’s. they blend all of these things as a way of reaching their objective – improvisation! improv as a means of composition and improv as the composition itself. they create diverse spaces, sensory forms, movements, instances and related sounds all the while projecting their own voice and collective identity. músicos: ada rave, saxo tenor, alto y soprano / wenchi lazo, guitarras + fx / martín de lassaletta, contrabajo / martín lópez grande, batería. all songs are collective free improvisations except for tracks 3, 5, 9 by ada rave; 4 by martín de lassaletta, 8 by eric dolphy. Argentine, Ada Rave, has produced an exciting and enterprising debut with La Continuidad (Pan Y Rosas Discos). A bright collection of avant garde/free jazz and bop that is reminiscent to Anthony Braxton, Ornette Coleman and even a little bit John Zorn. For a modern correlation, you might imagine is a calmer, Ingrid Laubrock. Ada delivers a maximum punch on sax but she also possesses a nice shifting array of themes with her quartet’s debut.